We love the music system, and the internet upgrade has made our lives so much more enjoyable without the daily frustration of poor connectivity. 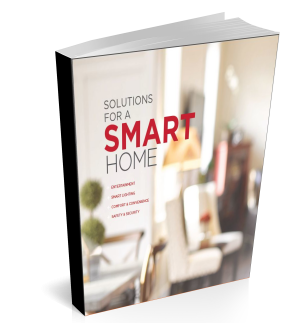 The smartest homes in America integrate their current Internet service with the most revolutionary, best-in-class networking technology that delivers lightning-fast, secure infrastructure. Our wireless network specialists create a behind-the-scenes communication center for all your wireless devices with technology from the industry giants — Cisco, Ruckus Wireless, Pakedge. Website filtering and parental control systems. We also offer parents the peace of mind of website filtering and parental controls, blocking the world of adult entertainment from children while giving parents full Internet access with their login. Our parental controls extend beyond home computers, able to restrict children’s wireless access during certain periods of the day, for example from 8 p.m. to 6 a.m. when children should be sleeping. The result: Sweet dreams for the whole family. Lifetronic Systems guarantees 100% fast, next-generation wireless networking both inside and out of your home. And we will never leave your home until you are 100% satisfied. Websites instantly responding to your touch on every device in your home — desktop, laptop, tablet, and smartphone. A seamless transition as you bring your work from your home office to your poolside. A functioning network harmony in your entire home, 24/7. Internet and network are no longer luxuries. They are utilities, a requirement for you, the discriminating homeowner. Inconsistent and unreliable Wi-Fi performance is a thing of the past. Contact us today to set up a free consultation, in your home or business. Fill out the form or call us at 203.226.2386. Wireless Network & Wifi Systems Service Areas: Lifetronic Systems is located in Greenwich and Westport, CT, and services all of Fairfield County, CT, and Westchester County, NY. We also travel beyond Connecticut and New York upon request.